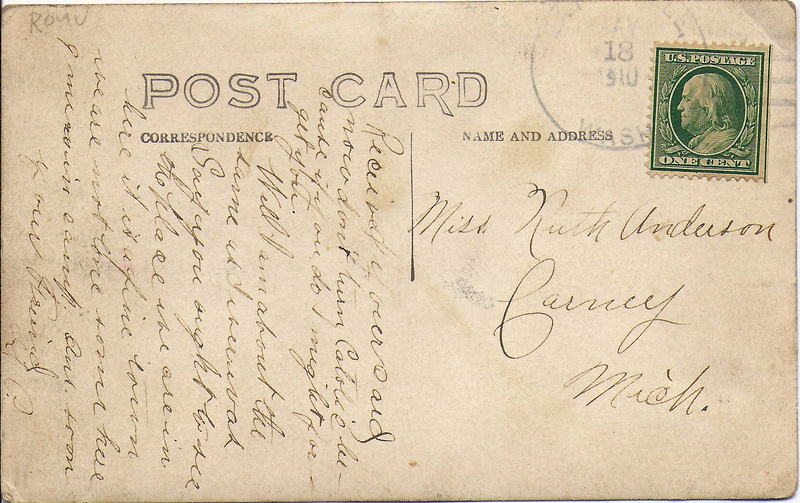 This postcard was mailed 101 years ago to Miss Ruth Anderson. If I’m reading the card right, the writer is telling Ruth this is a fine town. 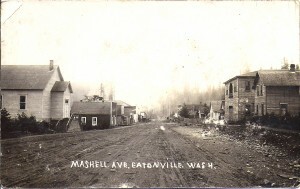 I’m not sure this picture postcard of Mashell Ave. would do much to entice people to stop by though. Photo courtesy of Debbie and Gary Saint. 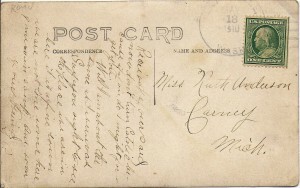 So I am assuming there were more than one of these postcards, Like the one I bid for on Ebay. (but didn’t win the bidding, but captured a pic of it for my own pic library.) Like Diane said, not the most enticing picture, unless someone was looking for a real pioneer town !! 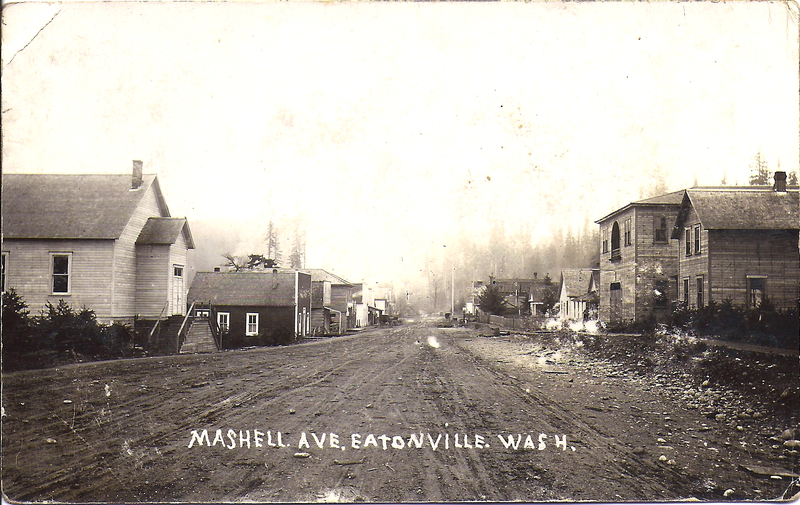 I would suppose alot of the ‘small’ west coast towns looked like this in 1910. It amazes me the changes that have occured to man and earth in the last 101 years !! I get a kick out of the mailing address also: name, town, state. that’s it !! It must have been a very small town in Michigan. I keep thinking if this is to entice the reader, her town in Michigan must look even worse. It wasn’t that long ago that mail addressed “Schatz, 98328” would still be delivered to our home. Love our small town.